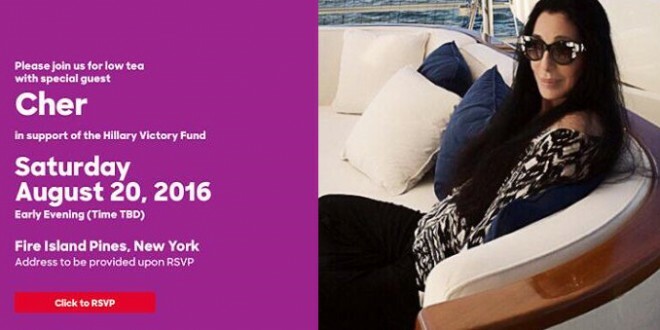 Cher To Host Series Of LGBT Fundraisers For Hillary Clinton In Miami Beach, Fire Island, And Provincetown - Joe.My.God. 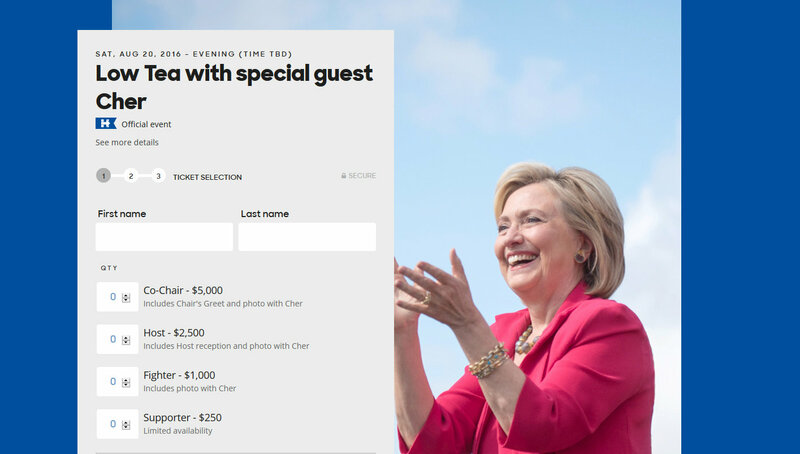 Cher is headlining a Miami Beach fundraiser for Hillary Clinton next week, marking the second LGBT-related event the star is holding for the Democrat. As invitations to the Aug. 19 fundraiser begin hitting email boxes on Thursday, Republican Donald Trump will be meeting in Orlando with a group of conservative Christian pastors who have criticized the gay rights movement. For Clinton’s backers, the contrast between Cher’s fundraiser and Trump’s private meeting with the 700 religious leaders of the American Renewal Project provides the perfect opportunity to question Trump’s commitment to gay rights after he promised to respect the “the LGBTQ community” at the Republican National Convention last month. “This shows who is a friend of our community and who isn’t,” said Tony Lima, a co-host of the Cher fundraiser and executive director of the Miami gay rights group Safeguarding American Values for Everyone. Gay rights activists Bradley Carlson and Joe Falk are also listed as event co-hosts. The Fire Island event is Saturday, August 20th. Tickets start at $250 and those contributing at and above the $1000 level get a photo op with Cher. The next day Cher’s fundraising tour moves to Provincetown.